Ahh! It’s Day 30! Holy crap, I made it! 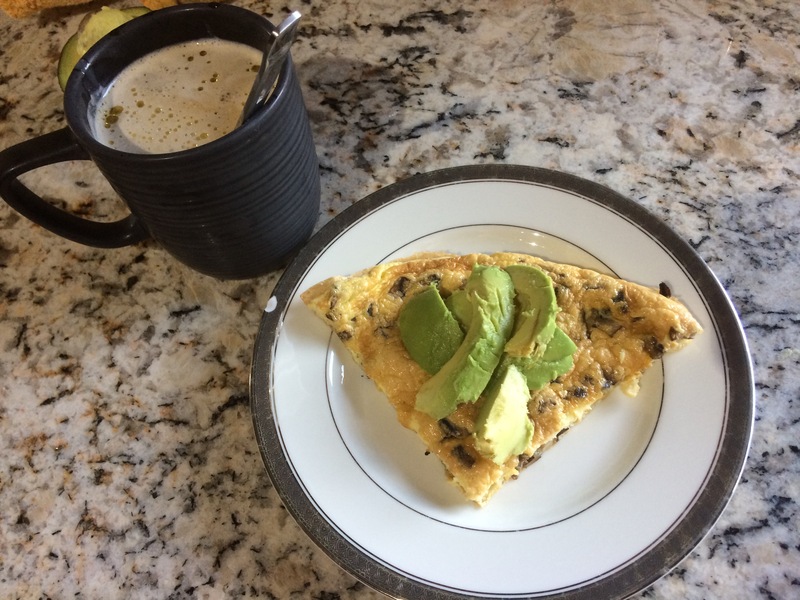 I started out with a celebratory breakfast frittata topped with a perfectly ripe avocado, and coffee with coconut milk. 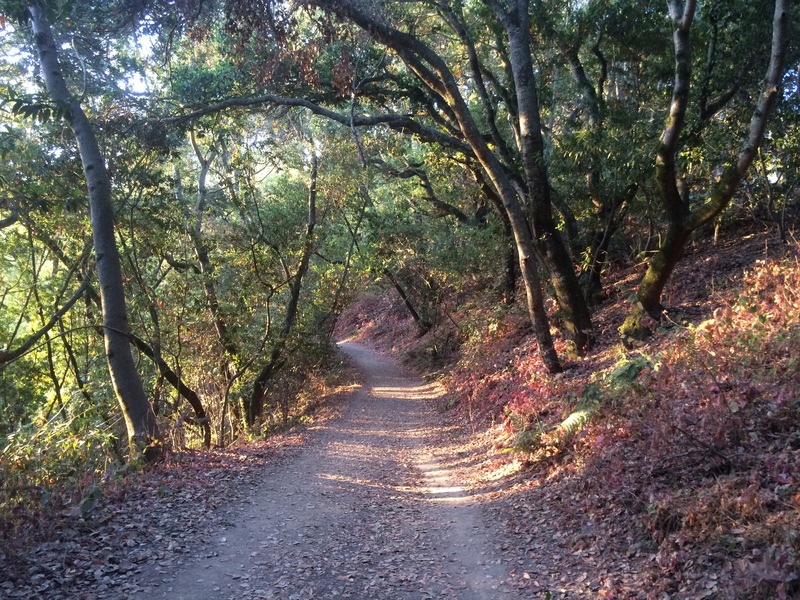 Then a trail run. I did Day 3 of the Couch to 5k app and covered 1.97 miles. A smidge farther than last time! 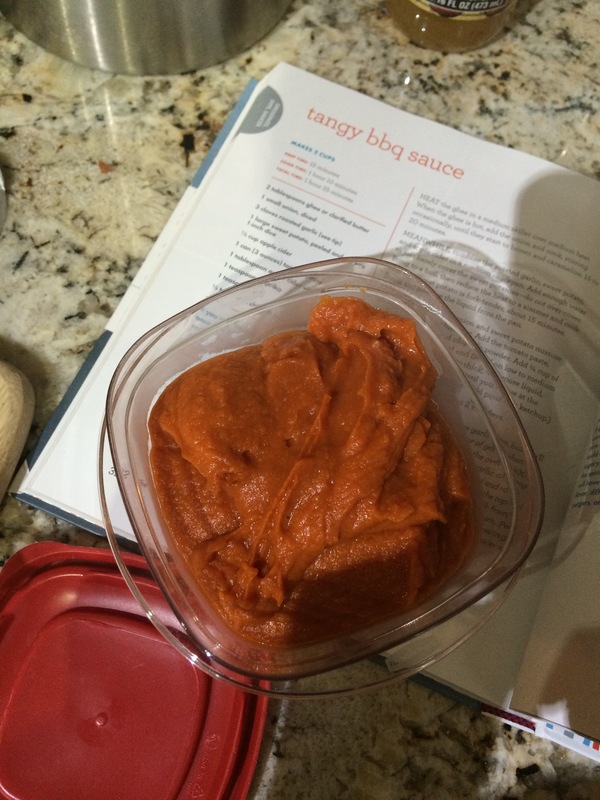 Oh, I also made the tangy bbq sauce from the Whole 30 book. I ate it with a spoon. Condiment or side dish? The last few days have been major “are we there yet” pains. When my family breaks out the snacks and beers, I may pout and whine a bit. But last night I thought to myself, “What if I’m doing a Whole60, or even a Whole100 and I’m nowhere near to being done yet?” I realized that if I was still in the middle of it, I wouldn’t feel so desperate to be done. I would happily prep and eat my compliant food just as before, since there would be no finish line taunting me with a guilt-free glass of wine and chocolate bar. Putting it into that perspective really helped manage the cravings for me. So I might not plunge face-first into a box of chocolate chip cookies tomorrow. But tomorrow I am planning on reintroducing dairy. And by “dairy” I mean butter and cream. Not ice cream. Not yet, anyway. It stinks not being able to have cream in my coffee or to cook my veggies with butter, so I want to see how I handle it and make a decision on if it’s going to be a thing or not. Everything else I’m pretty okay with having on an as-needed basis, but milk or cream in coffee is a big deal for me, especially if I’m drinking coffee at work because I’m a total coffee snob and work coffee never tastes very good without it. And I need to work on my did-it-for-real August Whole30 write up. It’ll be interesting once I start pondering things to put it all down in one place and see what happens. Oh, and we’re leaving for Alaska this weekend. I’ll probably not be connected to social media, so if I don’t get eaten by bears, I’ll be back in a week! Congrats & have fun in Alaska!